Displays 1400+ rhythm variations for 3-4 lead rhythm recognition using a standard clinical monitor. VitalSim Arrhythmia Trainer by Laerdal Medical. 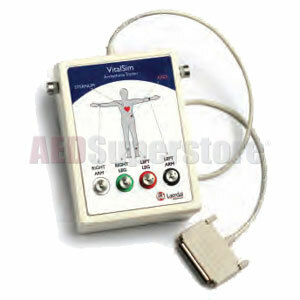 Note: Must be used with VitalSim™ Vital Signs Simulator, which is sold separately.